It’s that time of year, early September, bull calf selection for 2014 bull sales is in the final stages. 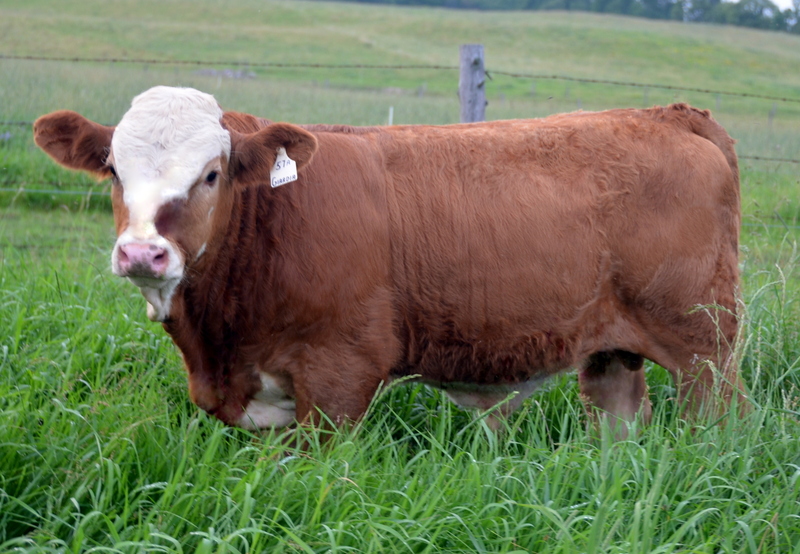 Selecting the right bull calves for our repeat customer base is an extremely important for us as they will most likely require “outcross genetics”. A number of our customers will be using these young sires on heifers, so they will want “calving ease bulls”. Then there is the potential for first time customers – what might he or she be looking for? We look forward to watching these calves grow and develop – we’ll keep you posted. Dora Lee’s Ajax 66A is sired by our senior herd sire Equinox. 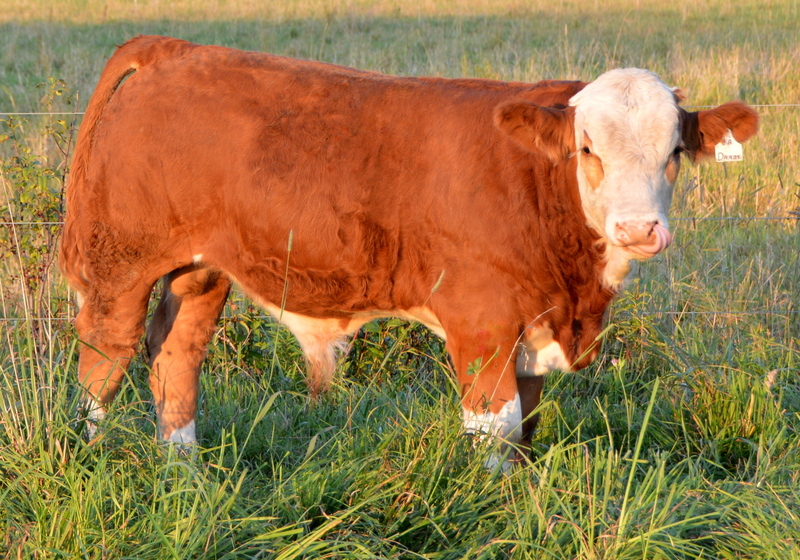 Ajax has been a stand out since birth and a late addition to our bull calf development group. Ajax has that herd bull look about him, but we were reluctant or should I say indecisive as to whether or not to develop him as he is a little lighter in colour. We threw those thoughts out and at this point in time Ajax appears to be the most complete bull calf in our group. He was born January 18th with an 93 lb birth weight. We believe that when Ajax arrives at his new home next spring he will certainly make his mark and then some. 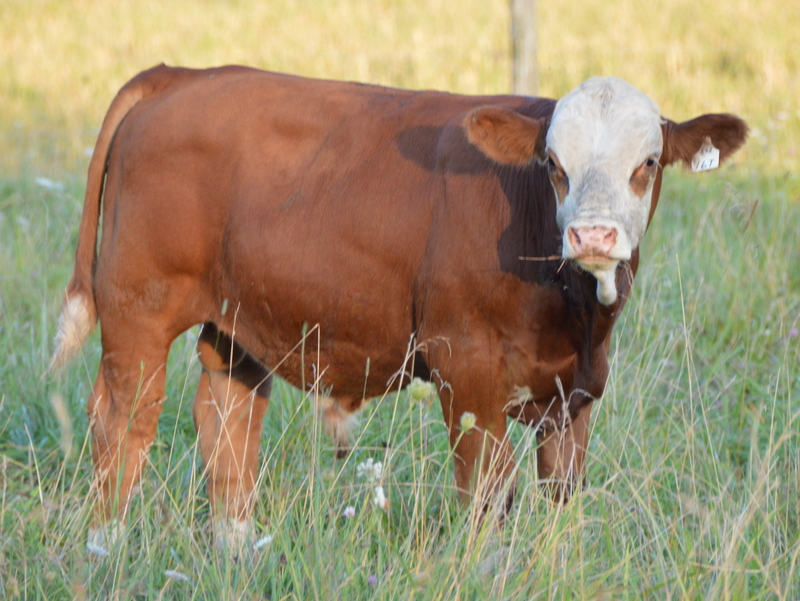 Dora Lee’s Image FF57A ‘s sire is the legendary Sir Arnold’s Image and he is out of a Star Palm heifer we imported from Texas. Giardia has done an impressive job on her first calf. Image has lots of eye pigmentation and is outcross to almost anything here in Canada. His genomic score for feed efficiency is very impressive placing him in the top 5% percent. We believe Image could be used successfully on heifers. He was born February 1st with a birth weight of 90lb. 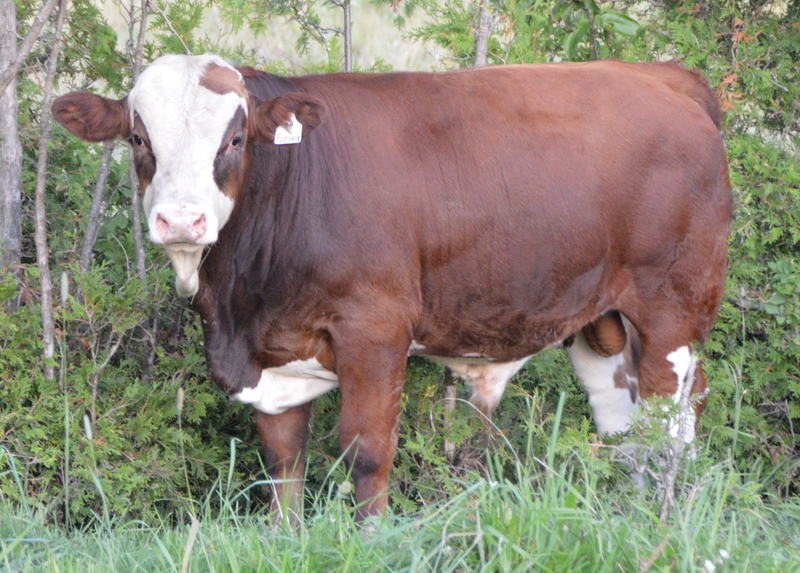 Dora Lee’s Timothy FF51Z is sired by our Equinox bull and out of Porters 16T cow we purchased several years ago. 16T arrived here in the fall of 2007 as a polled outcross heifer calf with some old time proven genetics on the bottom side that include Siegfried and Herode. 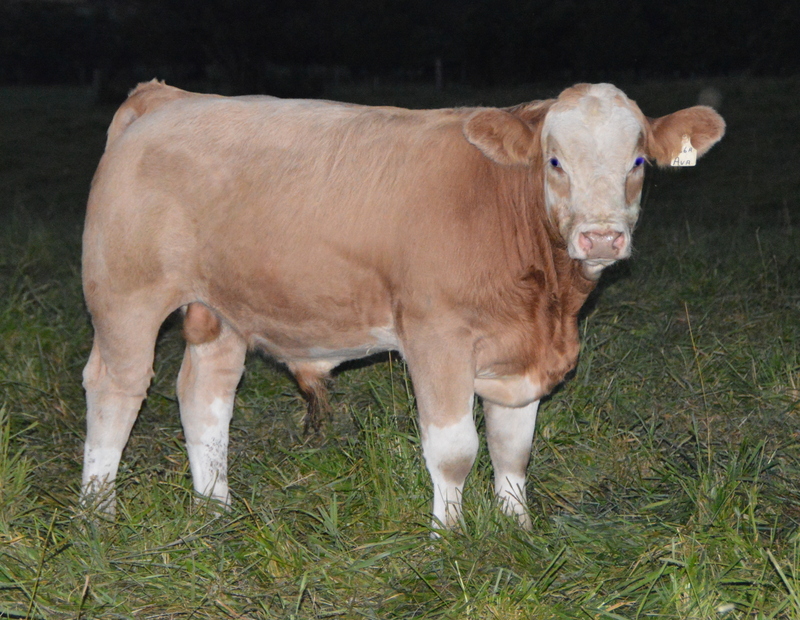 Timothy has been genomic evaluated, and is in the top 50% for feed efficiency and is homozygous polled. He was born December 28th. Dora Lee’s Patrice FF4A is sired by San Mar Pharao and out of a Eclipse dam. Flossie 4U, Patrice’s dam is perhaps the darkest deep red Fleckvieh ever to walk our pastures and has turned a lot of heads when fellow breeders tour our herd. Patrice’s genomic score is impressive placing him in the top 20% for feed efficiency. He was born unassisted with a 95 lb birth weight. Dora Lee’s Derby FF8A is sired by our Equinox bull and out of an Arnold’s Image sired dam Darby 8M. Darby has been a consistent producer weaning a big calf every year for the past 9 years. Derby has depth of pedigree with time proven genetics including Rickardstown Jumbo, Siegfried and Bold. Darby’s has a grand son working for Semex Canada. If by chance you may be looking for a herd sire from a proven dam with an awesome work record, Derby might be that missing piece.